My first ever Modern Times beer. And if this is representative of their quality, I am looking forward to trying much more from them. I can imagine the nitro making giving this an amazing mouthfeel, but for some reason I can't stand coconut in beer. I like coconut, and understand that it tastes good together with other flavors, but just something psychologically makes me blegh with coconut in beer. Tastes like licorice, although with some air, it is toning. Only poured a half glass. See if better in a couple of days. Come over, and I have a 2016 and a 2018 in the fridge, and we can compare. Nice. I still have a couple 2018s, but I dont see myself buying any 2019. Maybe I'll get one. I prefer the CBS, and am happy to see that Founders, apparently, has made it a year-round release. 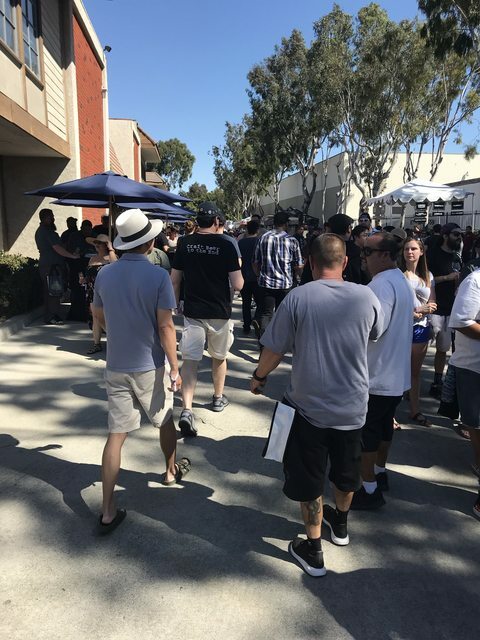 I attended the Monkish 7th Anniversary party today, absolutely perfect weather and expertly staged. At this point I'm still trying to comprehend the absolutely incredible tap list of world class beers at our disposal. Maybe my favorite beer of the day was Hudson Valley's Glycerin Blackberry Peach, simply mind bending sour, actually went back for 2nds and 3rds. The beer list was so overwhelming that I didn't have a single Monkish hazy beer all day, IMHO the best Monkish beer was Little Twin Stars, one of the best pastry stouts I've had, never before released and it blew the lid off the Monkish pouring station, God I hope they re-visit this and bottle it, I'd stand in a long line for a few bottles of it. MT Dreamspeaker. Solid IPA, but not overly memorable. 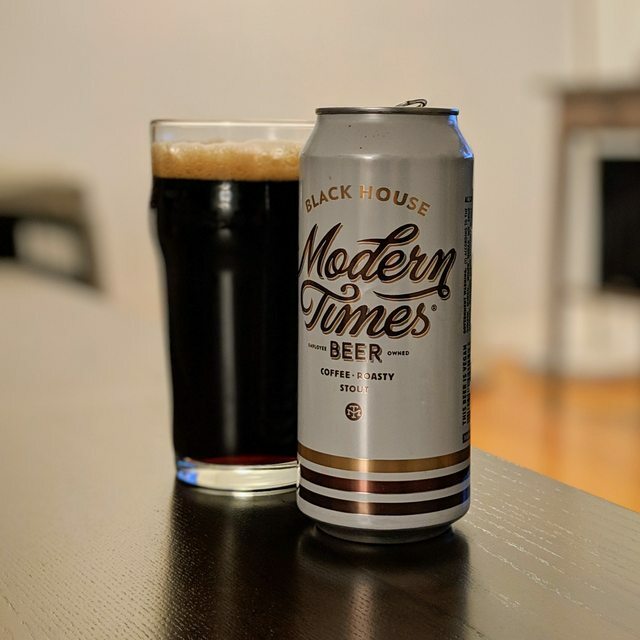 Picked up some MT Black House nitro based on reccomendarion above. Will let you know what I think later. 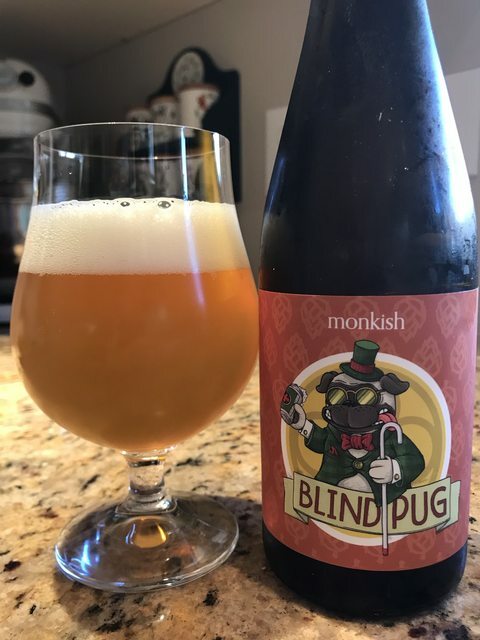 Monkish Brewing Co. Blind Pug. IPA 7.5% ABV. Hopped with Citra, Galaxy Nelson and Centennial hops. Do not adjust your settings.......yes, this is a clear west coast Monkish IPA. Beer wish fulfilled. I have always wondered what a true west coast IPA would taste like in Henrys capable hands and here we go. This was actually released last week in rush of an amazing week full of can and bottle releases leading up to the 7th Anniversary party. This pours a classic light amber orange-yellow with an inch of thick white head. The nose shows bready malts, nice floral scents with lots and lots of citrus of every kind. 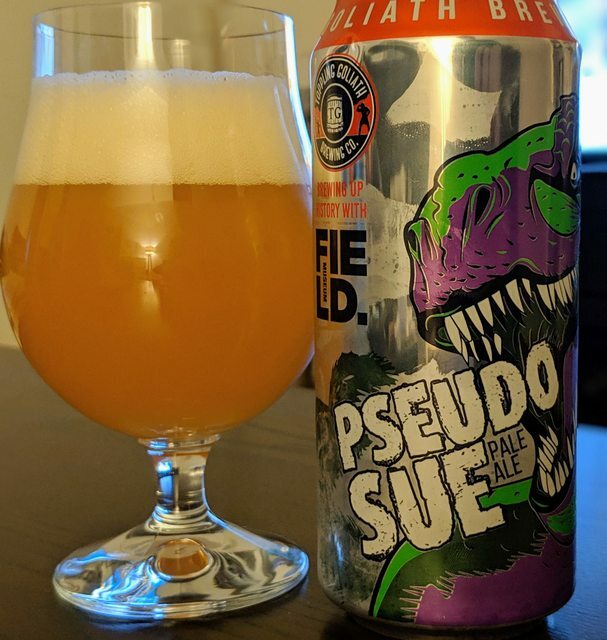 Flavors blast off with a massive pop of bitter hops up front before the mid palate opens up to offer a potpourri of bitter sweet pithy citrus that eventually give way to more tropical notes like papaya, mango and stone fruits on the back end. This beer is crisp and bone dry, at 7.5% it's a crusher. The amazing label art was approved by Vinnie and Natalie and on the label there's a nice nod to Henry's love of RR IPAs, most obviously Blind Pig. Now we can hope that this puppy finds it's way into some kind of regular rotation either from the new bottling line or in cans as this beer alone can re-introduce an entire generation of younger beer drinkers that have cut their teeth on haze and have no idea how great world class west coast IPAs can be. No distribution, sold by the case ala Russian River at $6 per 500ML bottle, just like it's cousin from up north, there was quite a bit bottled so if your a trader it shouldn't be to hard to grab a bottle especially at that price point. Last edited by BRhoades on March 18th, 2019, 6:55 pm, edited 6 times in total. Gluggable, especially at 5.8% for a stout. Not as sharp as one might expect for a stout. Do you know if Blind Pug sold through at the party? Bottles sold out the Friday before the party but its still on for pours, highly recommend you get down before its history. Fort George - Skies of Wonder (batdance) IPA and Fremont Brew 3000. Both recommended. Very glad I read your post on the way home. Detoured for a pour. Damn. Legit. A+ business right here! I pray this is the beginning of more West Coast IPAs from Monkish. Prairie beer club members had the option of banding together to get custom barrel aged beers. Got to pick name and had a choice for label. Thanks for heads up. Will prob be gone before I can make it up there. Fortunately, Rick shared some of his Cantillon stash with me tonight. 2013 Lou Pepe Gueze and Cuvée Saint-Gilloise. Both outstanding, but very different expressions of lambic. We also enjoyed a Westy 8, some Orval, and numerous bottles/cans of Heater Allen and Wayfinder beers. How is the Etre shipping? Any issues? I used to order from Etre for Cantillon all the time ~5+ years ago. They don’t have much anymore and when they do they put like a 2 bottle limit which of course makes shipping impossible. They will hold so you can add them up, but the cat seems out of the bag there. I still order from them occasionally for other stuff, like Alvinne and have never had an issue with shipping. Has was that 2013 cuvee St. Gilloise? I think I have a 2012 in storage. My first time trying that blend. I thought a step up from the regular Gueze, although a touch more tart, and was drinking well. Mmmmmm ... interesting! Thank you for reporting. The couple time I've had it I've not like it as much as the regular gueuze. Drinking away my sorrows with the wife in Issaquah tonight. Rolling Thunder 2019 choco-bomb. A new canned IPA is being released tomorrow Brian, We're up in Yosemite for the week so Eric told me he'd hold a few back for me to pick up when we get home, if you can't get any I should be able to toss one your way. Ooooh!!! I will let you know mn. Thanks for the heads up! Highly recommend New Park Brewing in Hartford CT. Their 6.4% IPA has as much flavor as a DIPA and much better balance than a DIPA. HAs not been mentioned here so I thought I would pass it along. I'm not drinking it, but Thor is. Good look for Creature Comforts out of Athens, GA. Good beer. Good people. By the beard of Zeus! Thor only drinks beer out of giant steins. Way to screw it up Russo Bros. I have a new favorite local beer: West Sixth Berliner Weisse. (I'm sorry I don't have a good picture to post...it's in a rather generic-looking growler.) Highly recommended. Finally got a chance to try some Toppling. I must say, I was quite pleased. a Pale Ale that drinks much bigger. On the flat side, with a brown sugar/toffee syrup flavor. The head vanished immediately after pouring. Could be time in bottle or possible heat damage (2015), but other beers stored with it have been ok. Surprisingly, there was little, if any, “burn” from the 12.5%. Not really my thing, but not bad. We're canning for the first time tomorrow. Das Bier (Kolsch) and Pils. We're doing a lot, and I'm not sure where we're going to put it in the Brewery, but based on initial orders, it will be manageable within a few days. I’ve been stockpiling some Alvinne since 2013 and decided to pop this 2014 tonight. I haven’t visited these in awhile to let them get some age. Incredible was my reaction tonight. When we first popped, it had tons of fine fine carb left and I might have mistaken it for a Middle Aged champagne. The carb settled down in minutes but always stayed and provided lift here to go with the sour. Pears on the nose, apples on the palate, with just A touch of caramel. Dry though, tart even tannic and never heavy beautiful stuff for 4.99! Very clean too, which is appreciated here. Better on the cold side of cellar/room temp and small pours poured fresh. Those fine bubbles! Should have bought more, and that starts tomorrow. I'd be really happy if I could get some in a couple weeks on a very short trip to Seattle. I’m shocked you did not join Lisa and Patrick in shotgunning a can at the end of your first successful canning day! Hey, someone had to film it! Just seeing this now - congrats Rick!!! I've never done an Etre order. In other news, Ashley and are planning a quick stop at Monkish tmrw. Probably in the noon - 2pm window. If any of y'all are there, dont be a stranger. Thanks. I'll have to check them out. I got the chance to take a day trip to Tree House when we went to a wedding in upstate New York last weekend. Used my new wine check to bring about 40 cans home with me to share with friends and family (thanks Todd!). I’ve had three so far (Julius, Haze, and Curiosity 63), and they have all lived up to the hype. If I lived in New England, I might almost stop buying wine entirely. Not sure there are many $30 bottles that can compete with this. Brian, the new batch of DDH MT5! is off the charts amazing. I dare say it's the best DIPA they have ever brewed, this one is on the Monkish level or better, love the 2nd vintage of Stencil as well, but that DDHMT5! YOWZA! 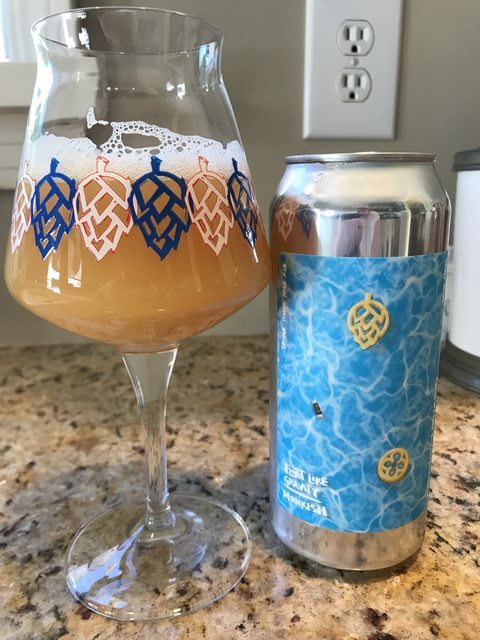 Monkish Brewing Co. Float Like Gravity. TIPA. 10.3% ABV Hopped with Nelson Galaxy and Simcoe. Another stunning TIPA from Henry and crew. Dank resinous nose that gives way to massive ripe pineapple, sweet citrus fruits and ripe stone fruits. The beer is alarmingly drinkable for the ABV, in fact the body is quite light on it's feet for such a big boy. This is extremely young for a Monkish triple but I always take one for the team early. This will meld together in a week to two and should be other-worldly. Canned on Saturday for release that day and still on for pours.